We’ve talked before about a couple of different ways to make dry shampoo with ingredients from your kitchen, but today it’s time to talk liquid dry shampoo. Recently my teenage daughter shared with me her version of dry shampoo, but a liquid version. She prefers it to actual dry, dry shampoo because it’s less messy and she can spray it on specific parts of her hair, as opposed to typical dry shampoo that you shake onto the roots of your hair and comb down. I gave it a try and I’ve got to say, I’ve fallen in love with liquid dry shampoo myself. It’s perfect for those mornings you’re running a little behind and don’t have time for a proper wash and dry, or if you just really like to go a few days in-between shampoos. I don’t know about you, but both apply to me. 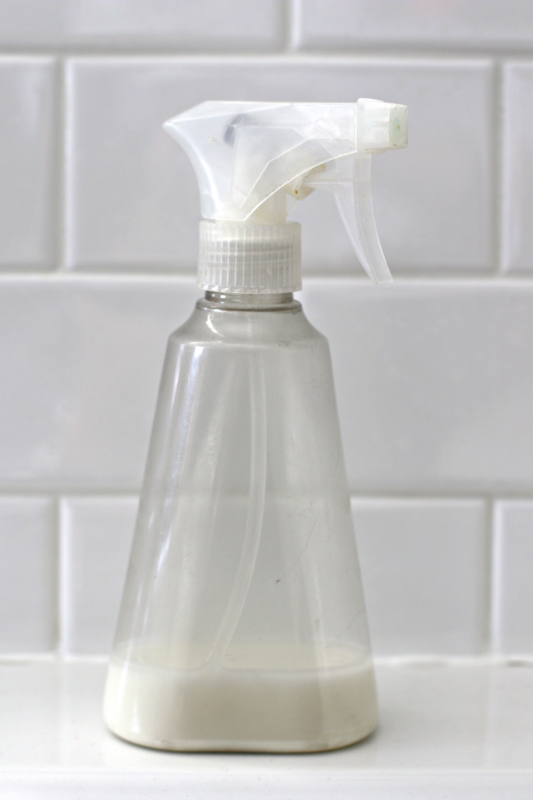 We bought a spray bottle specifically for liquid dry shampoo at the Dollar Store (I love me some Dollar Store) and made this batch of liquid dry shampoo for pennies using ingredients we already have at home. Even if you bought everything from scratch, including the spray bottle, you’ll still spend less than $5 for liquid dry shampoo that will last for a year. Just shake it up completely before you use it (every single time) to mix up the cornstarch, and you’re set for the long haul. And if you don’t want to smell like rubbing alcohol, add a drop of your favorite essential oil or perfume (my girl prefers her signature perfume) to the mix and you’ll smell just lovely. Spray the liquid dry shampoo on your roots and greasy hair when you get ready in the morning, and using a brush, spread through your hair. 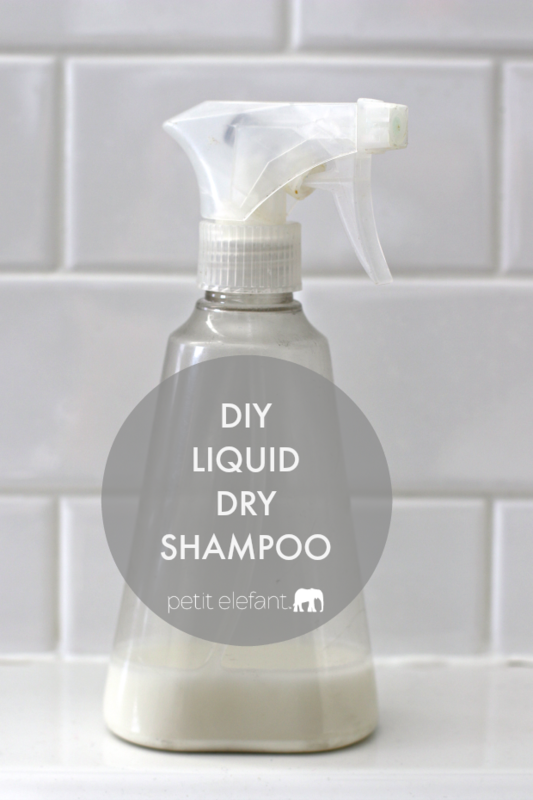 Blast with your blow dryer to dry up the liquid and style as usual. Finely ground oats work well as dry shampoo too. Plus you smell like breakfast all day. I consider that a plus. Thanks for sharing I have made it according to your instruction. It is awesome.